It's here at last! 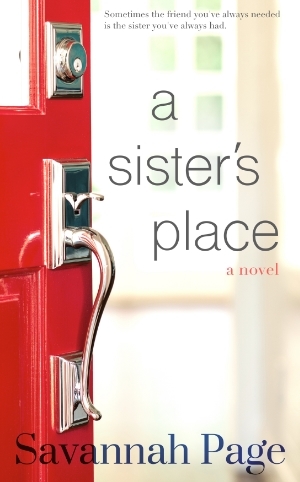 My brand new stand alone novel, A Sister's Place, has been released and is currently available exclusively on Amazon. I am SO excited about this new book! It's the first novel since the When Girlfriends collection and one very near and dear to my heart. It was a year in the making and, finally, it's here for my lovely readers. Here's the gorgeous cover I can't get enough of, and the book's details. I do hope you enjoy getting to know Gracie and Juliette Bennett. And, if you love the story, I would greatly appreciate your thoughts via a review on Amazon. More positive reviews means more opportunities to share and promote my books with readers who, just like you, are eager to get their hands on some juicy women's fiction and chick lit! Sisters Gracie and Juliette Bennett used to be the best of friends. But over the years, time and distance have worn the ties of sisterhood that once bound them together. Each has been following her own life's path, growing further apart. When their beloved grandmother Mimi passes the Bennett sisters are set to inherit her house--the charming Santa Barbara Craftsman, a family heirloom three generations old. But there's a catch: In order to inherit their home away from home Gracie and Juliette must live at 1402 Laguna Lane for one year...together. Now, in an unexpected and peculiar way, their paths intertwine. Gracie and Juliette have a chance to come together and reexamine their relationship, perhaps even become the kinds of friends only sisters can be. Because as they'll learn over the course of the trying year ahead, Mimi's clever plan is about more than preserving a piece of family history. Differences will be embraced, pasts confronted, loyalties tested, and secrets revealed. And in their darkest hours Gracie and Juliette will have to decide if a sister's love is what they need to get through the year. If a unique friendship between sisters is what they've needed all along.